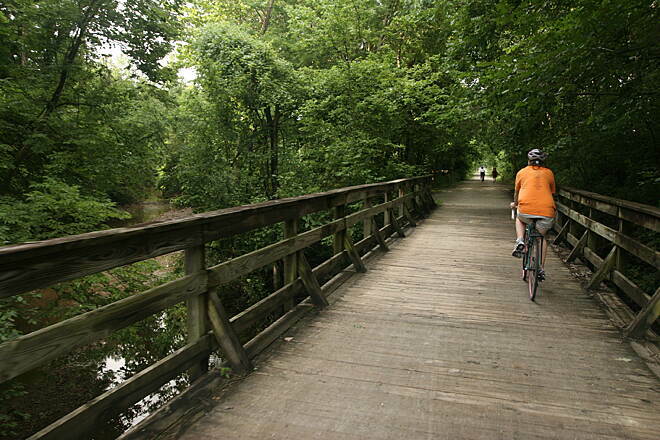 The MKT Nature and Fitness Trail spans just over 9 miles between the famed Katy Trail State Park, which stretches across Missouri, and Columbia. 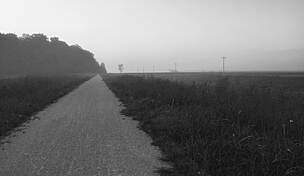 It gets its name from the former spur line of the Missouri-Kansas-Texas (MKT) Railroad, which it follows. 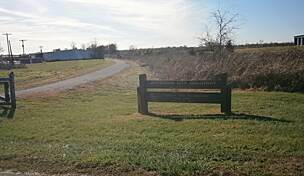 Its southern trailhead in McBaine offers a paved parking lot, bathrooms, and drinking water. Carefully follow the signage marking the start of the trail. 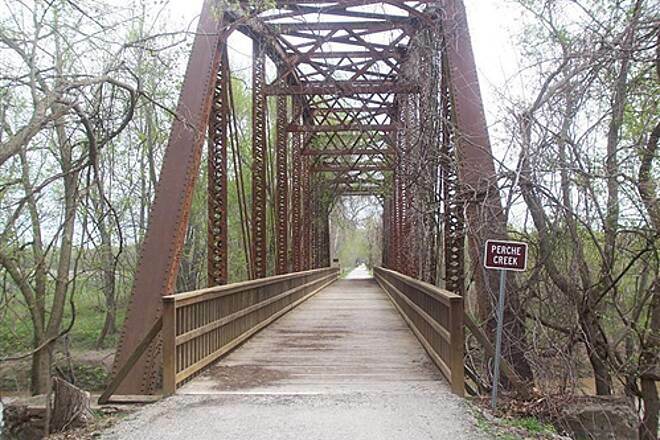 After crossing Perche Creek, stay to the right at the trail fork to follow the MKT Trail; the Katy Trail continues to the left of the fork. The first half of the MKT is rural and cuts through wooded areas and sprawling farmland while following nearby Perche and Hinkson Creeks. The crushed stone along this portion of the trail is well packed and easily passable by hybrid bike. Road bikes may also be suited to this terrain. Enjoy the sights, sounds, and flora and fauna of the Missouri countryside as you pass through a patchwork of shaded and exposed corridor. 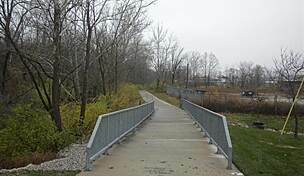 The second half of the trail is fully canopied, and you cross over several old wooden bridges across Flat Branch Creek. 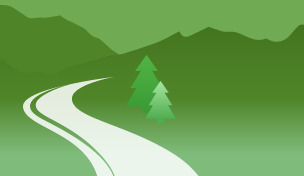 Highlights along the scenic route include the Martin Luther King, Jr. Memorial at Battle Garden and the Forum Nature Area. The former features a bucolic landscaped backdrop for a memorial dedicated to the venerable civil rights leader, while the latter offers a wetlands trail and opportunities for bird watching. 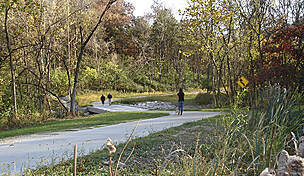 To the north of the Forum Nature Area, the County House Trail provides access to the Twin Lakes Recreation Area, which allows boating, fishing, and swimming. 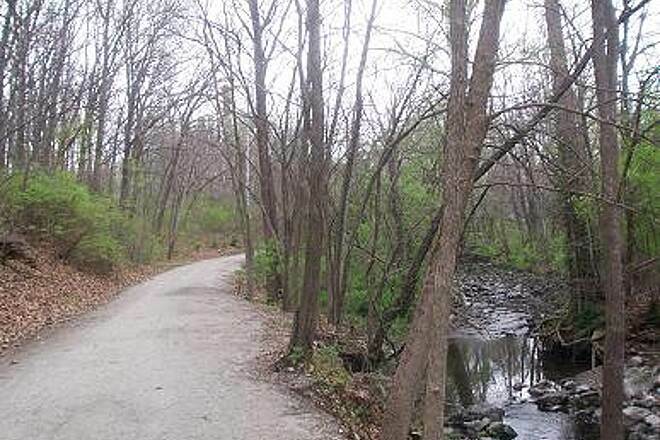 The MKT Trail also connects to Hinkson Creek Trail, which reaches the recreational gems of Grindstone Nature Area and Stephens Lake Park. 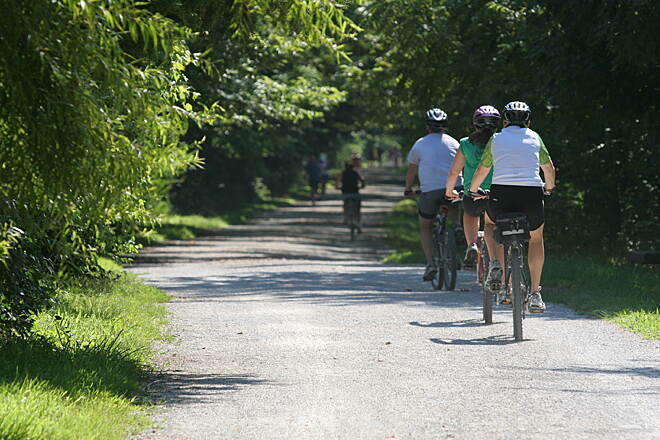 The trail is dotted with bathroom, parking, and water facilities along its entire length and has some of the best amenities of any trail in the state. 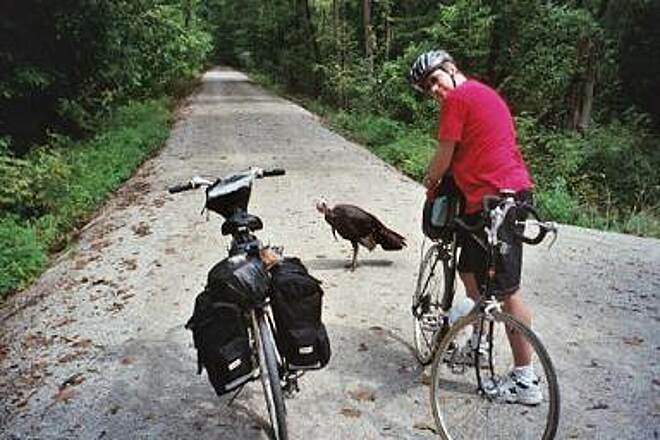 The closer you get toward the center of Columbia, the more populated you will find the trail. 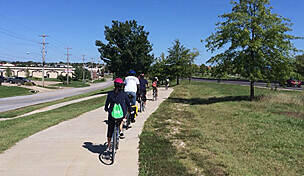 Runners, walkers, bikers, and students from the local University of Missouri campus fill the trail, especially along the last 3 miles. 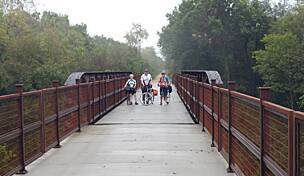 The trail splits in the last 0.5 mile as you enter town, but stay to the left to pass through a small tunnel and travel by a lovely water feature and into Flat Branch Park, where you’ll find a picnic area, drinking water, and parking. From here, you’re only a short way from Columbia’s charming downtown. 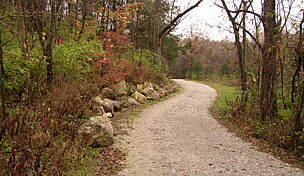 To reach the southern trailhead from Columbia, take MO 163/Providence Road south to a right onto E. Nifong Blvd. Continue on the roadway westbound as it becomes W. Vawter School Road. You could take a right onto Scott Blvd. to a trail access point and parking, or continue straight on what is now S. Brushwood Lake Road. Continuing on this roadway as it heads south and becomes S. Howard Orchard Road will bring you to a T-intersection with MO KK; take a right onto MO KK, and then another immediate right onto MO K. As you pass the Columbia Water Plant, look for the sign directing you into the trailhead parking lot. To reach the northern trailhead in Columbia from I-70, take Exit 126. Take a left onto MO 163/N. Providence Road. Travel south until you reach Locust St. and take a left. Take your next left onto S. Fourth St. You’ll see parking spots on either side of the street. Love this trail!! Beautiful area. I will be back to ride it again. My wife and I spend the day biking taking pictures and just enjoying a beautiful spring day. The trail was immaculate full of smiling and friendly bikers and walkers. We drove in from the St. Louis area just to ride this trail and were not disappointed. I didn't read the reviews before driving there and was surprised to find the trail head parking was all metered. A stop into the Chamber of Commerce another smiling face and we found the free parking. 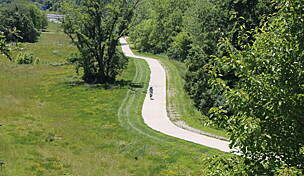 We are planning another trip to ride one of the other trails in Columbia. The MKT is a really good, relatively flat and shaded trail running from downtown Colimbia to the Missouri River. This is a favorite for runners, walkers and bikers. The trail is crushed stone and is in generally very good condition although it can flood when the Flat Branch Creek floods or runs high. Parking downtown is good with a small lot near the trailhead. I've always enjoyed this trail. Suggest that you park downtown at the lot near the corner of Elm and Providence. It is a small lot but designed for biker/hiker use. There wasn't a map at the parking lot, so it can be confusing, which way to go, but facing the trail from the parking lot - go left (not over small bridge). Trail winds out of town with no stops and has some beautiful scenery. Seemed down hill going out and uphill coming back - isn't that the way it always seems? Most heavily used toward town and most walkers don't move over for bikes, not intentional but oblivious. There are nice benches along the way if you want to stop and sit and enjoy the birds/nature. About half way to the Katy Trail the county takes over care of the trail and there is a subtle change, but the trail from beginning to end is well maintained. 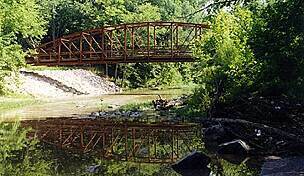 Would love to ride this trail again and bet it is gorgeous in the fall - recommend you try it if you are in the area. "If you are staying the evening in Columbia, be sure to check out the Flat Branch Brewing Co. and Eatery. It is on 5th Street, exactly five blocks east and a bit north of where the MKT drops you off (Providence and Stewart). While there you can check out the Katy Trail Pale Ale, although I would recommend the Brown Ale or Smithton Mild or one of the seasonal brews (mmm..pumpkin ale). The food is also very good, although I am told they no longer offer Bangers & Mash like they did when I lived in Missouri . . . sigh." 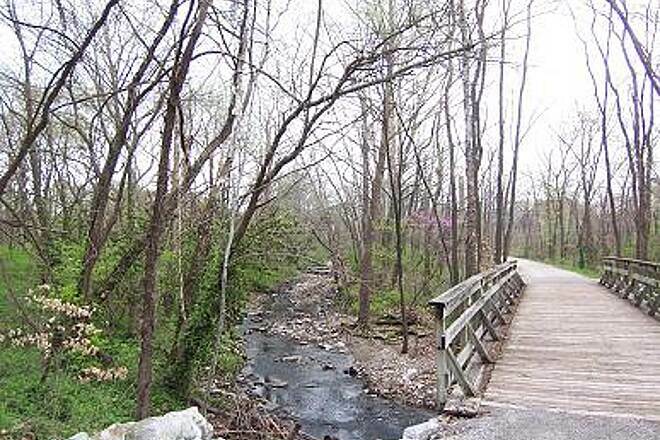 This trail is a spur off the MKT leading into the beautiful college town of Columbia. 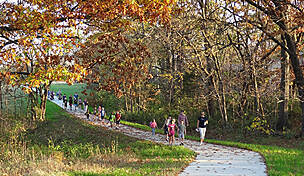 It is well used by joggers and walkers and of course bicyclists. It is mostly ridden under a beatiful canopy of trees. Plenty of restaurants in Columbia for a quick break.